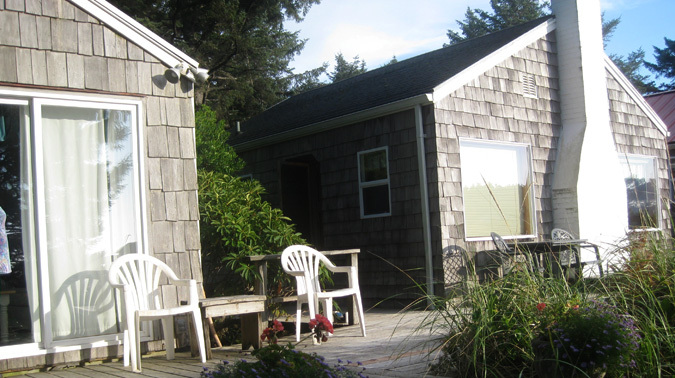 The Cabana shares a deck with the Beachcomber and may be rented separately. 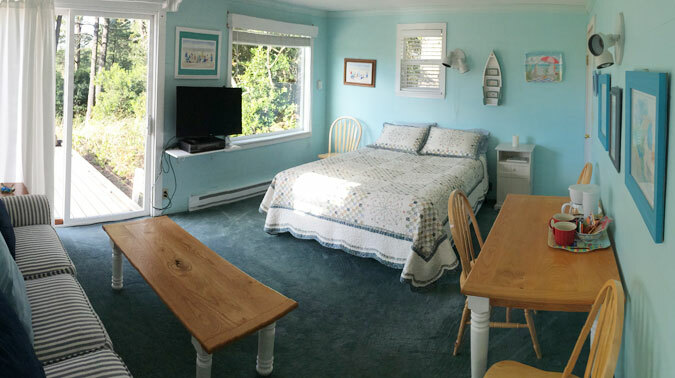 The Cabana is a separate sleeping unit with a queen bed, HDTV, full bath and sofa. The cabana offers extra sleeping and extra privacy for kids, guests or perhaps a second couple. The cabana does not have cooking facilities although it has a small refrigerator, microwave and coffee pot.